It’s not a coincidence that initial coin offerings (ICO) are being talked about so much between investors and regulators: they’re big opportunity. But what exactly is an ICO and why should investors, and potential investors, be interested in them? Well, let’s break down what an ICO is, why you should be interested, and some of the key factors to look at when deciding on what ICO’s are worth it, and which ones are rubbish. An initialism for “initial coin offering,” ICOs are essentially the crypto market equivalent to something we’re all likely familiar with: the IPO. ICOs are very similar to initial public offerings (IPO) of the traditional stock markets. When a company is ready to “go public” (and has met all the essential regulatory requirements), it will typically announce an event where the very first shares will be offered to the public. Much like that IPO, ICOs are instances where projects will announce the official first release of the coins or utility tokens that will be a part of the platform. Along with the ICO, there is typically a period of sale before the official release, often for private investors, referred to as the presale, or pre-launch sale. These sales are often characterized by promotions being offered by the company selling the coins. Investors may receive a certain bonus amount of coins for participating in the pre-launch sale. Why Should Investors be Interested? Perhaps the single most important reason for so much interest in ICOs is the potential for significant returns on initial investments. Like the more traditional IPO, an ICO offers investors the opportunity to invest in a new technology, team, and product at a very early stage. The only earlier stages would be seed funding, and, in many cases, the ICO for a project is the seed funding. Investors are counting on the possibility for the project to do well and, in return, see a significant rise in the price of the coin or token issued at the ICO. The thinking is that the coin will be cheaper when offered at the beginning and after the project gains traction, partnerships, exposure, etc., the price of the coin will likely rise and investors can either sell their purchases, or hold out for an even larger gain in the long run. 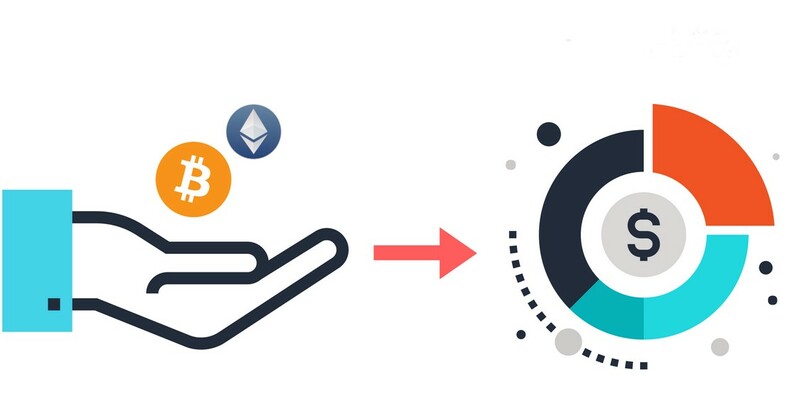 On top of the basic ideas behind purchasing assets at the earliest stages with what are likely going to be some of the lowest prices, many projects also offer bonuses for the early adopters on the platform. In many cases, there is a percentage bonus for those buying in at an earlier time. These multiple stages of an ICO allow investors to capitalize on special deals and accumulate more coins at a lower rate far before they hit major exchanges and are traded by the public. What Should Investors Look For? Now this is the most crucial step to ICO investing: due diligence. It’s true that some of the less-than-impressive coins do end up making whimsical investors an impressive return in some cases, but the end part of the statement is important: in some cases. Sure, some people get lucky and end up with a blowout deal and incredible gains in a short amount of time, all on accident, and all from a project with no real promise, but investors should never rely on that as a serious or long-term strategy. We only need to run a short thought experiment to think about how many failed investments there were for that one successful choice made at random. So then, what should investors be looking at when analyzing a potential ICO? Let’s go over some of the key factors below. Though it should seem obvious to many, the team behind a project is almost always a strong indicator of its chances of success. Some of the things investors should be looking for include: Do they have previous experience in the blockchain industry? Have they worked on other similar projects before? Do they have a background/degree/certification in other related tech fields? Are they available on LinkedIn and other social media? Not only should investors look at the tech and development side of the team, but what about marketing, advisors, and sponsors? Do they have a strong marketing team in place to help make some noise? (Alternatively, if the team is only made up of markets, that is typically a red flag.) Does the team have any legal advisors? Are they going to have the counsel they need for releasing in different countries and states legally? What about sponsors of the project? These are all important questions to raise and answers can typically be found on the official website and LinkedIn. What does the basic math look like? Are the coins being offered going to continue indefinitely in supply? What does the token distribution look like for the ICO and pre-ICO sales? What is the soft cap? Hard cap? Does the team intend on doing token burns? Is the coin even a cryptocurrency or is it like Ripple Labs’ XRP? All of these questions can be answered by a reading of the project’s official whitepaper and can be insightful for the chances of return on initial investment. The basic principles behind the token metrics can tell investors a lot about the potential success or failure of a coin after the ICO. For example, if the pre-ICO or ICO price is around $40/coin, but the circulating supply is set to be 41,000,000,000 coins, is it wise to plan on that price staying at $40? (Not to mention even considering rising beyond that.) Chances are, the price likely will not hold with that amount in circulation. What are the red flags for the project, if any? Investors always need to not lose perspective on their potential investments. Often times one can get caught up in the excitement of a new technology and its ability to “disrupt” multiple industries, but that’s not always the case in every ICO. Take a look at the claims the team is making, are they outlandish? Does the website look like a late ‘90s website that sells industrial cleaning supplies? Is the copywriting written terribly in the native language of the company? Are there stock photos all over the site? All of these aspects don’t necessarily make a project a scam, but all these pieces brought together can be a major red flag. And lastly, is the project making claims of “unbelievable,” consistent, high returns? If they are, then that should be a major red flag to begin with. The above article is entirely the opinion of the author and should not be taken as advice. Before you invest in anything, especially crypto, you should seek legal and professional advice. The company, site or author is not responsible for any losses or decisions made as a result of this article. Previous: What are Crypto Funds and How Do you Get Started in Them? Best Selling Author, Entrepreneur, Inventor, Futurologist and Philanthropist based in Silicon Valley.